On September 25, 2017, Apple released Mac 10.13 High Sierra and allowed all Mac users to upgrade on all Mac computers that meet system requirements. It was great but also caused plenty of compatibility problems to software developers including TuneMobie Software. Our software developers work day and night in order to fix compatibility problems as soon as possible. And we are proud to annouce that now TuneMobie Apple Music Converter fully supports Mac 10.13 High Sierra. Besides, we added multilingual support and new features for Windows version. Since Apple Music’s debut in June 2015, many Mac users have been seeking for a way to enjoy their favorite Apple Music tracks on their iPod Nano or iPod Shuffle. When users try to sync downloaded Apple Music tracks to iPod Nano or iPod Shuffle, they will simply get an error message that “Apple Music songs cannot be copied to an iPod”. And TuneMobie Apple Music Converter was developed to solve such a problem. However, Apple released macOS High Sierra on November 25, 2017 and TuneMobie Apple Music Converter for Mac V2.6.3 was confirmed that it wasn’t compatible with the Mac 10.13 system. With day-and-night work, finally, TuneMobie engineers have solved the compatibility problem and upgraded version to 2.7.1. “We have been working hard these days. 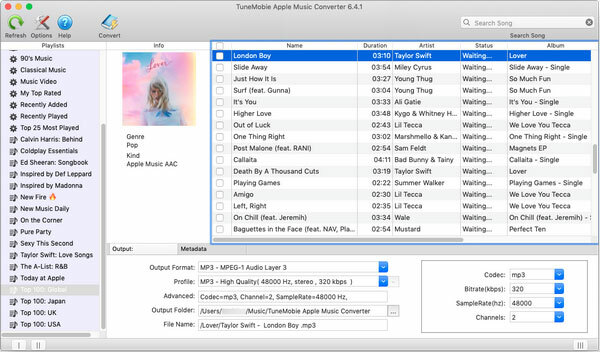 We received lots of emails from our users saying that they couldn’t use TuneMobie Apple Music Converter after they upgraded their Mac system to High Sierra. We really appreciate our customers’ tolerant attitude to our developers. Some users even show their support to us by not upgrading Mac. We also thank all users for their patience as we keep them waiting for 50 days. Now please upgrade TuneMobie Apple Music Converter Mac version to 2.7.1 and upgrade your Mac to High Sierra without any worry. Version upgrade is free of charge.” Said David, the product manager of Apple Music Converter. “We also updated Windows version to 2.2.8 with French, Japanese and Chinese interface added. Besides, Audiobook to M4A conversion can now preserve chapter information like Mac version does. We take users feedback seriously and will keep on improving.” David added. To change language interface of TuneMobie Apple Music Converter, simply launch the program and click Options and you can easily find Language list in the bottom of Options dialog. Currently, TuneMobie Apple Music Converter is available in English, French, Japanese, Simplified Chinese and Traditional Chinese. Select the language and software interface will be changed immediately. You don't even need to restart the program. We will surely add more and more languages. Multilingual support for TuneMobie M4V Converter Plus will be supported soon as well. Just keep an eye on our website. 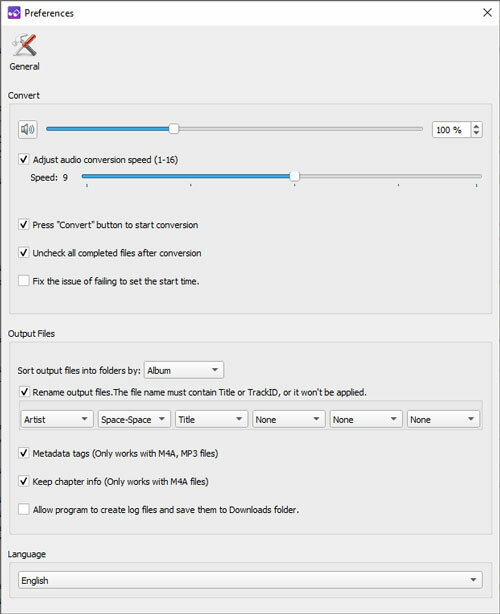 "Before V2.2.8, when converting audiobooks to M4A, chapter information are not preserved. Many TuneMobie users asked for this feature and our developers make it true today. Any feedback or suggestions are welcome." Said David. Use enable this function, simply open Options dialog and check "Keep Chapter Info". Please note that this function is only available for M4A output format as other audio formats can't presrerve chapters. You can go to product page to get the latest version or click following download links directly to get latest version.